This narration tells us that the companions were in mosque for Friday prayer, The holy Prphet was delivering sermon for Fridays prayer, when out side caravan came, everybody left the holy Prophet and rushed to caravan, only 12 people remained in mosque, the verse of Surah Jumma revealed about it. 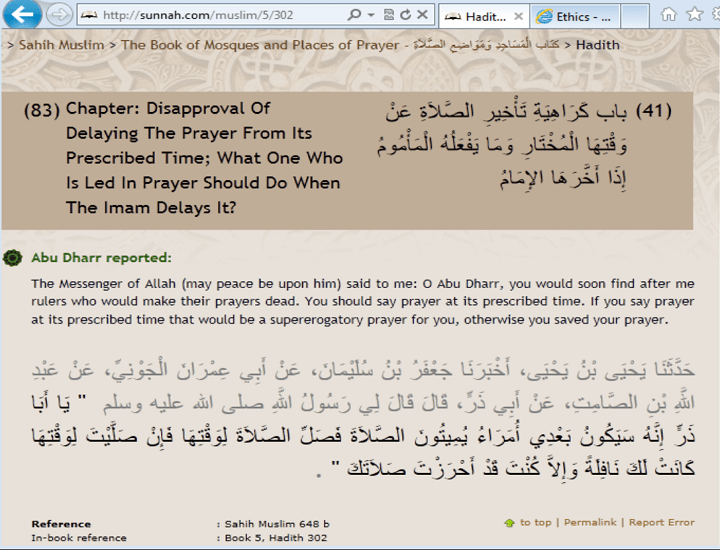 Narration in Sahih Muslim that the companion ‘Imran b. Husain says Imam Ali bin Abu Talib reminded him the prayer of the Holy Prophet. It means other people intorduced their own ways in prayer. 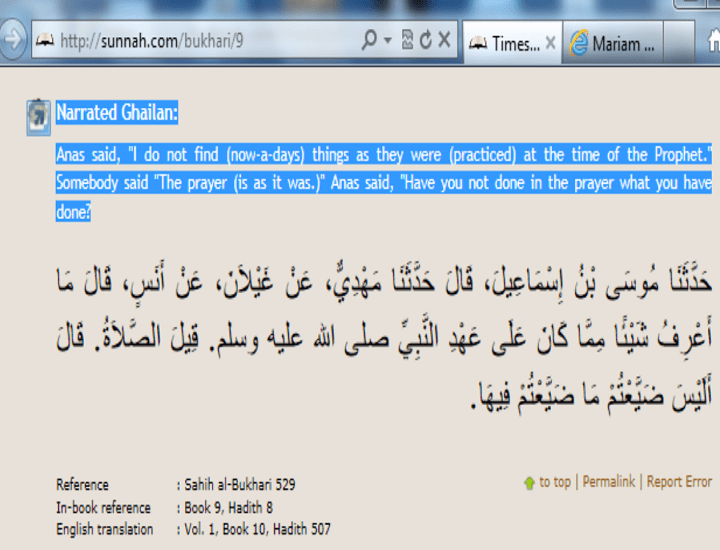 We would like to mention here the narration from Bukhari. Narration in Sahih Muslim that the Holy Prophet(pbuh) said to Abu dhar (ra) you would soon find after me rulers who would make their prayers dead. 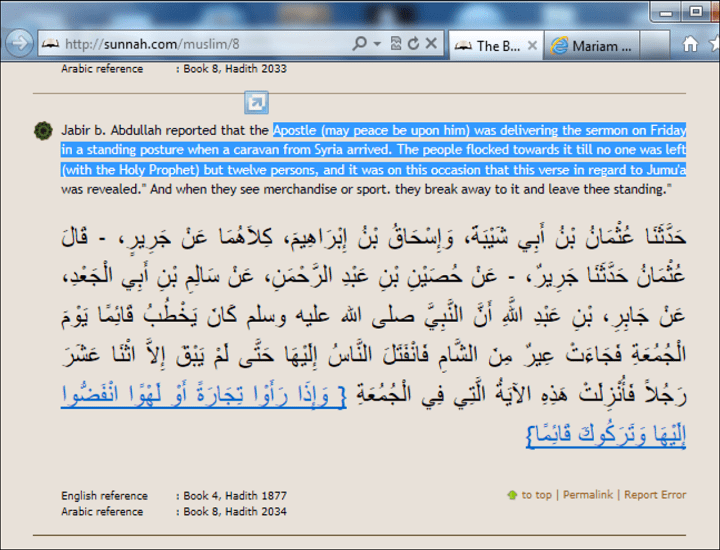 We know who were the rulers after the Holy Prophet Abu Bakr, Umar bin Khattab, Uthman and Moawiya bin Abu Sufyan. We know that Abu dhar died in the time of third Caliph Uthman.Abu Dhar (rz) used to make objections on the actions of third Caliph. Uthman expelled him from Medina out in the deseret. There in deseret (RABZA) Abu Dhar (a rightous companion) of Holy Prophet died in miserable condition. From such narrations, we can also understand the action of Imam Ali ibn e Abu Talib, if Imam Ali joined with the other companions, that was for the sake of unity, to save Islam and Muslim Ummah from the sever consequences. This narration tells us that the Prophet wanted to talk to Moawiya but he kept on eating and eating, then the holy Prophet said about Moawiya ” may Allah not fill his belly”. We know in arabic culture such words are used for someone in such scenario , these are kind of cursive words, which are against that person, especially these words are used by the Prophet for someone. This is narration says when Moawiya bin Abu Sufyan used to appoint a Governor, he used to give orders to his Governors to curse on Imam Ali in mosques and public places. When he appointed Sa’ad bin ABi Waqas he asked for it. Sa,ad bin Abi Waqas said there are three virues of Imam Ali I can not do so, Please read those 3 promonent virtues of Imam Ali in this narration. This is very well proven fact (unfortunatly) that Moawiya started cursing on Imam Ali in mosques (Friday and Eid sermons), It remained for many decades until the time of Umar bin Abdul Aziz (Ummayad caliph), he stoped it. This is also a proven reality that along with cursing on Imam Ali (as) Moawiya fought war with Imam Ali, thousands of people got killed. We discussed these things in our articles, we can not talk much in here about Moawiya’s enemity with Imam Ali. 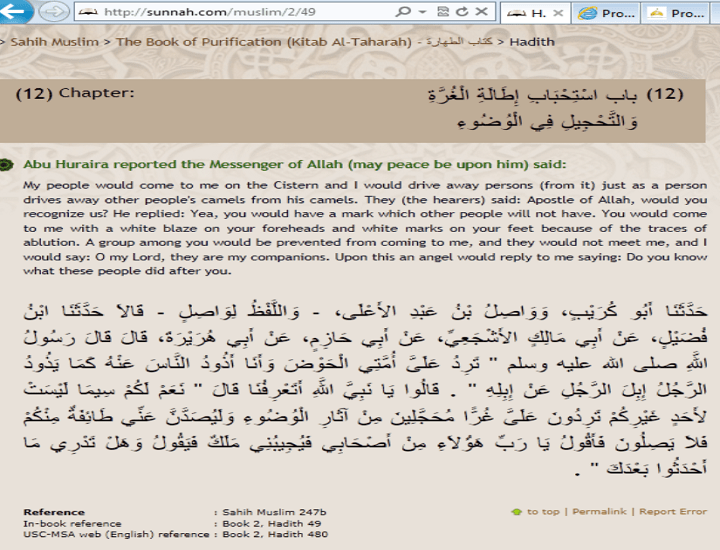 Please read from Nissaie, The Holy Prophet said ” Anybody who curse Ali, curses me”.